Blue Moon is a great light summer beer and mussels are a great light summer meal. 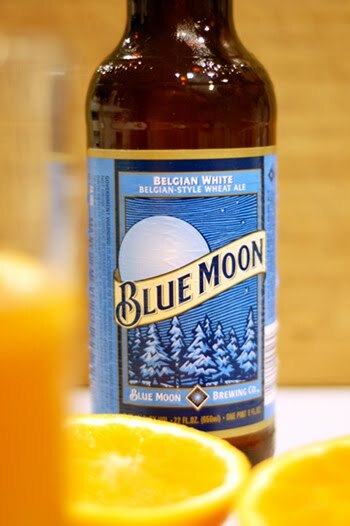 It is something of a classic to cook mussels in beer, but by adding ingredients that highlight the flavores of Blue Moon this dish brings the beer’s character to the for front. This recipe is part of the The Great Beer Recipe Challenge. Click here to vote for my recipe and view others featuring Blue Moon Beer. Farmers Market...Where are the Veggies?